Female friends…thank God I have them. I have heard numerous stories, negative portrayals, of women by women about how we relate to one another. Sure, at times I am left confused by our interactions in workplace environments (but I will again address that at another time). Likewise, there are those moments when we pass each other on sidewalks or in hallways and turn our heads. Are we serious? With all of the dangers that lurk, can we really afford to dismiss each other so easily or have we collectively agreed to each her own. Friendship though, now that is different. (Or is it?) After all, we invite these relationships into our lives. There have been times when, though my best efforts, I still seemed to end up with a few Judasettes in my crew. Such is life, right? All the while, I defined—only to redefine—what friendship means to me. In doing so, I learned more about myself. Likewise, I began to pay even more attention regarding the world in which I live. There are things that I experience because I am a woman and I want to hear of shared experiences, learn from similar experiences, avoid pitfalls, celebrate, guide, receive advice from, laugh, cry, encourage and be encouraged by people who know what I am talking about. When I say, “It’s too hot to wear pantyhose,” I do not want to have to explain why. If I am asked, “What’s wrong,” and I respond, “Cramps”, I want that to end the conversation…for the day. If I am addressed as “Hun” or “Dear” in a workplace environment (which I have been), I want support on how to best handle such a scene from a woman’s vantage point. Also, spiritually, there are situations of faith where women may minister to me more effectively. I am extremely thankful for the female friends I have. My hope is that all women have a group of women who uplift, enhance, and advance their lives. Maybe if we speak more on our positive experiences, others will too. 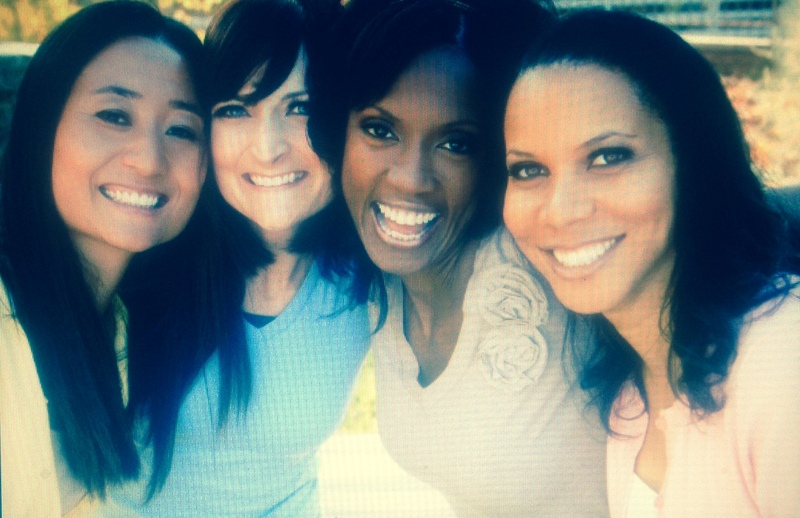 It will be evident that it is not only possible to have positive female friendships, but that they are plentiful.